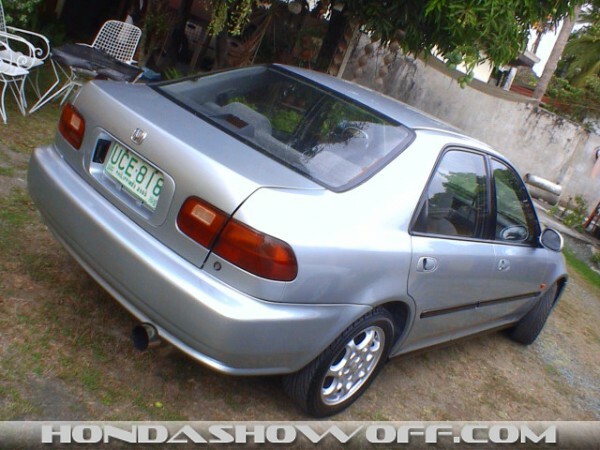 HATCH: all stock, nothing to show PH12 1.2 16-valve engine, air intake for carb, HKS Hi-power exhaust. 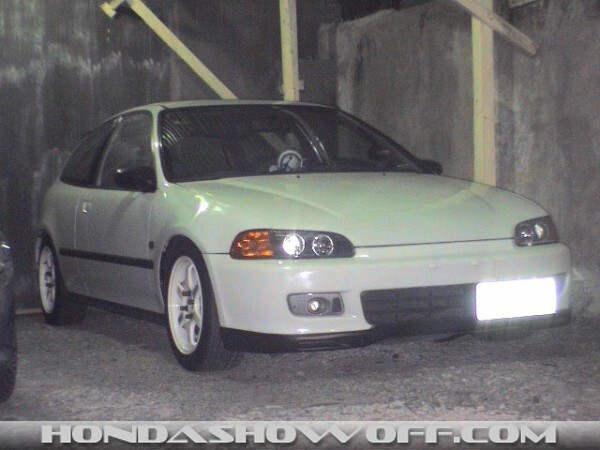 HATCH: white (nippon paint), amber corner lights, fog lamps, spoon chin spoiler, flat amber fender lights, angel eyes HALO head lights, stock tail light, stock spoiler with 3rd break light, stock black side moldings, spoon style side mirrors. 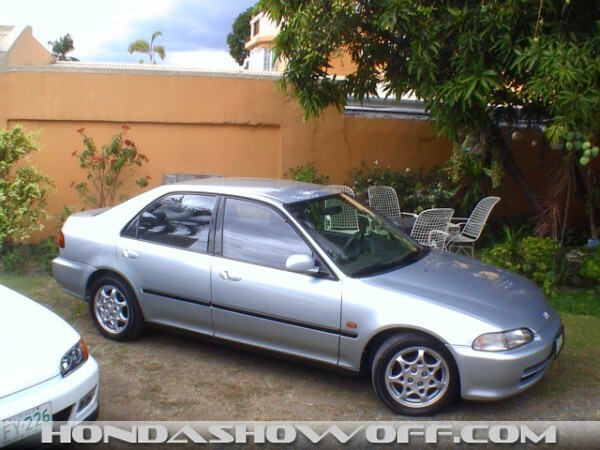 ESi: dupont silver gray; side moldings, stock side mirrors, fender lights. . . all are stock. HATCH: Original 15" TE-37 Volk Rays Engineering rims(lightweight) wrapped with 195/55/R15 yokohama tires, type-R lugnuts. Esi: Rare original enkei/ferio rims (diffrent type) wrapped with 195/50/R15 yokohama ES100 tires. Esi: Pioneer indash CD player, stock speakers, all power. hey mand, wats up, check out my new ride. Do It Yourself original honda springs compressed (heated). . . ONLY IN THE PHILIPPINES!!! hahaha! yeahhhhh thats right! only here!!! keep it tight! got the same username. . . hehe. i got the volk from the states. 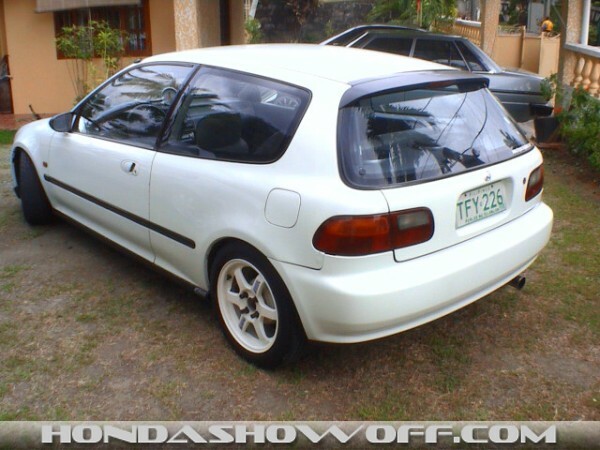 . .
looks good.. i used to have an eg.. never seen a eg with a carb on the motor..
Pare thanks for peeping in my car and for the comment i've seen ur hatch.. nice pare.... like the headlamps where did u get them? Youre from the philippines! i'm from there too. Oooo...you have the clean look, i like it very much. Those rims on the white one, they fit like fist it to eye. 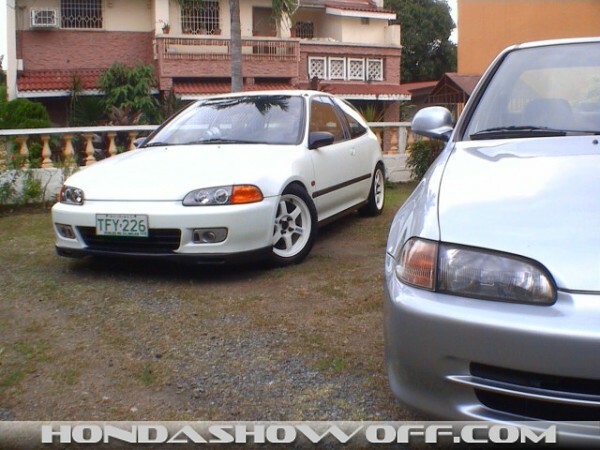 Both your Civics are amazing. nice civics. i like the different rims on the sedan. looks good man, hope to see some mods in the future. keep it up bro. peace. 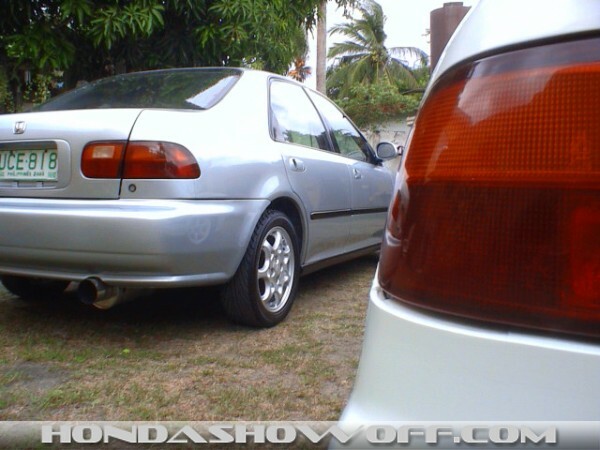 I like that year hatch, one of the light ones, nice sedan too, good potential on both. 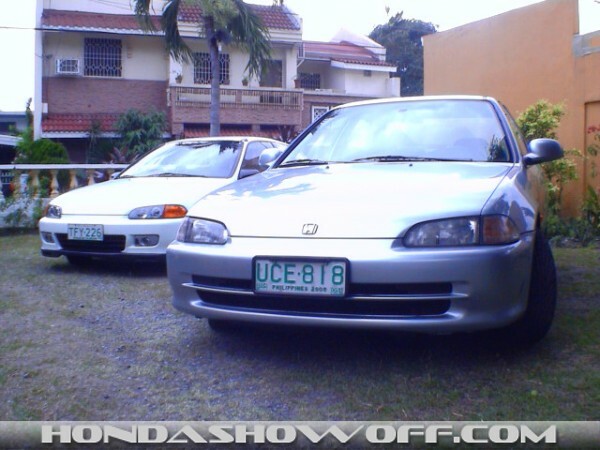 i love both hatch nd esi! those rims are tight brah! need more pix for the esi!!! Ill drop it soon, on my to do list, i do all the work myself so i have to find time. ur theme looks good, nice car. it's air, and honestly my main components of my suspension weigh less than stock. thanks for the comment. keep up the good work on the hatch man. yo bro the headlight cost me about Php7,500. corner light Php1,200. and the volk rays TE-37 rims (bought it in the u.s.) cost $1,700 w/o tires. 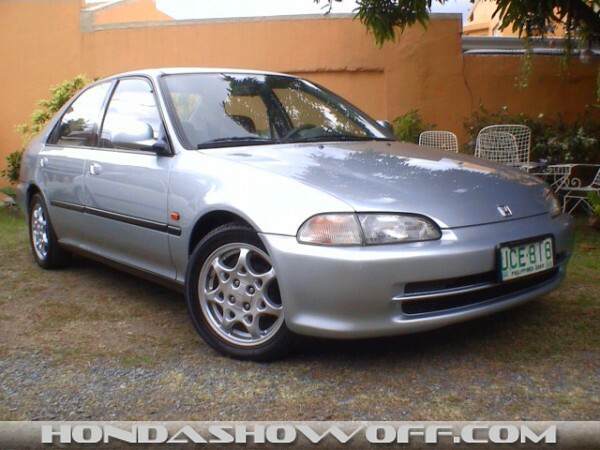 dude, i just bought a 93hb and im planning to change my headlights, corner lights and rims. how much did it cost you to change everything? btw, im working in ford alabang that's why i asked where you r located. peace out! 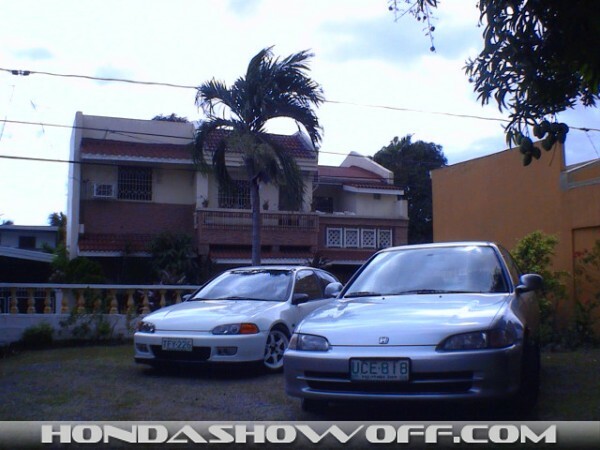 our local honda dealer (says its a 1.2) hondashowoff buddy's (says not a 1.2). now im confused. . . . well, ill just post some engine pix real soon. . . peace out! dude nice ride! where are you located here in the phils. ?BF Homes ba? thats a tight as eg yo, i love eg's. bro! 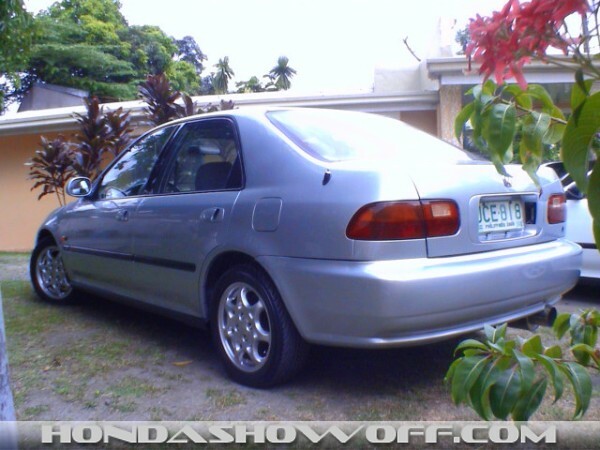 nice car, i jas bought a 93 silver hb, i like wat u did with your car, simple but cool... ill post mine soon.. Thanks for the comments! Simple is how i like to keep it. 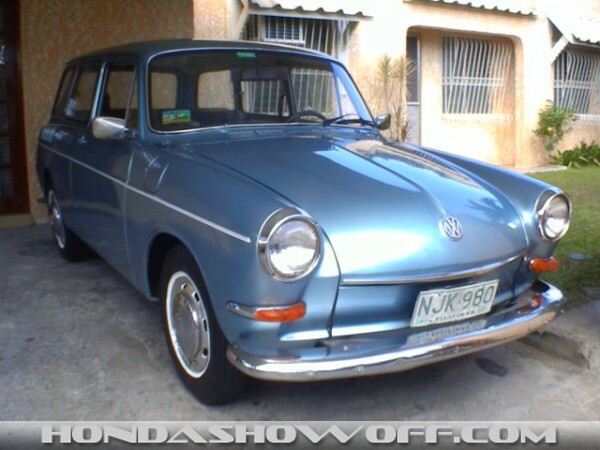 Not need/purpose for wings, bodykits or any other show type weight laden mods. I like your EG hatch there, and the TE-37's match it well. Keep up the good work!! 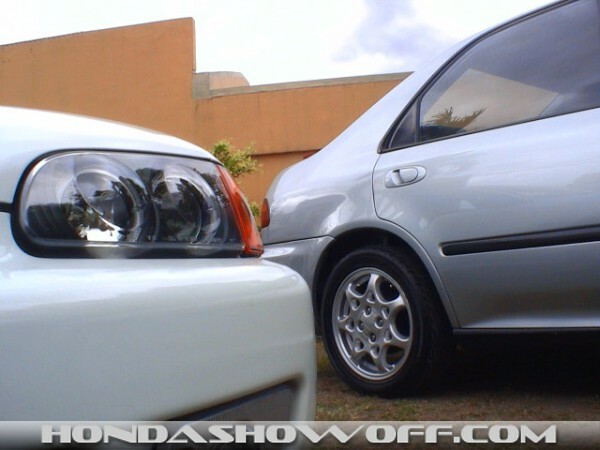 thanks for your comment i think you car looks good in white where did you get you front fog lights? Car looks real clean man! nice start indeed. All I can suggest right now is to lose the heads in favor of some oem headlights. 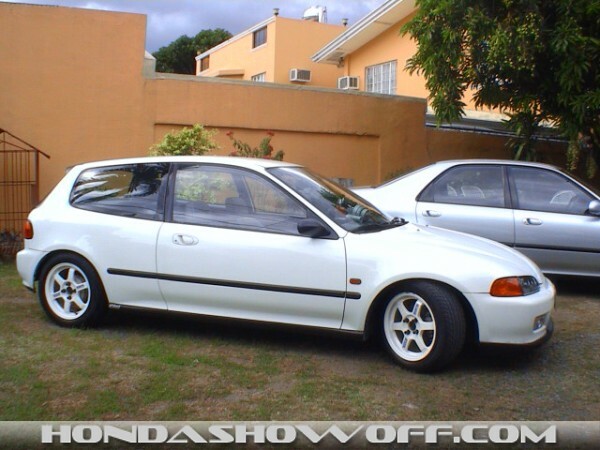 Also, there were never any 1.2's in Civic stock ? ? ? Late. 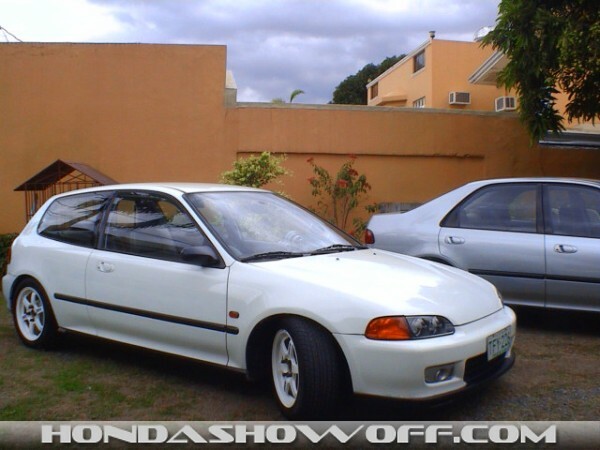 nice civic dude , jdm style :) , lijke the rims and foglights. das tight n clean bro, dang! yeah my 1.2's really slow but it can still get me anywhere. i'm just saving up money for a better/bigger engine. peace out! why bother if it has a 1.2?! 1.5,1.6 is enough to complain about. yes, u read it right! 1.2 litre engine. . .